Have you ever cooked a meal from scratch? Remember how long it took, how many different ingredients there were, and how it got a little messy at certain times? At the end of the day, when cooking from scratch, the taste of each ingredient coming together makes the entire recipe worth it. Creating an engaging and effective online presence from scratch is a daunting process. Like cooking, there are so many vital pieces for you to consider, making it difficult to keep track of everything. The entire strategy takes time to complete, but once everything is set up, it's hard to deny the custom-built digital marketing campaign's successes. One indoor go-karting company was starting from scratch. They were opening at the end of the summer of 2016, and needed a digital marketing company to help them create an online presence that would scale with their eventual growth. Since opening in the summer of 2016, Overdrive Raceway has generated almost 10,000 contacts, over 200,000 visits, 490 blog subscribers, and highly successful party booking campaigns. Not bad for a company with virtually no website at this time two years ago! Overdrive Raceway is the nation's first and only indoor, two-track, & two-story go-karting facility. Located in Colorado Springs, Colorado, they offer a go-kart experience that leaves their competitors in the dust. Overdrive's go-karts reach speeds up to 55 miles-per-hour, and their facilities are world-class. Their customers can reserve a private party or meeting room, they can dine at Overdrive's Sports Bar, or they can sign up to compete in seasonal racing leagues. Overdrive is a one-of-a-kind entertainment center, with a family friendly atmosphere that is perfect for anyone. Overdrive realized the need to generate awareness and facilitate demand prior to their grand opening. Due to the immense amount of risk accrued with the construction of their facilities, Overdrive Raceway needed a digital marketing agency that would be able to meet their unique needs at specific times as their business grew. At the beginning of their campaign, Overdrive had no online presence. They needed help building out a best practice digital presence that made them visible to their target audience as their new facilities were under construction. They needed the basics; a website to direct people to and social media profiles. Once a digital presence was built out for Overdrive, the new company knew that they needed to build a positive online following before their grand opening if they wanted to ensure their building investment paid off. An awareness and education campaign would be needed in order to make sure that Overdrive's target audience knew about their soon to be location and its Grand Opening. Upon its grand opening, so many people were visiting their website and submitting forms for party reservations at the location that Overdrive's party booking staff was unable to follow up with every person. A new, technology-centered and automated process would be needed for their team to properly track, follow up with and book party leads while maintaining the track's high level of customer service expectations. Overdrive was a new brand in the market. They had no online presence, no plan to grow, and no idea what it takes to compete and win online. 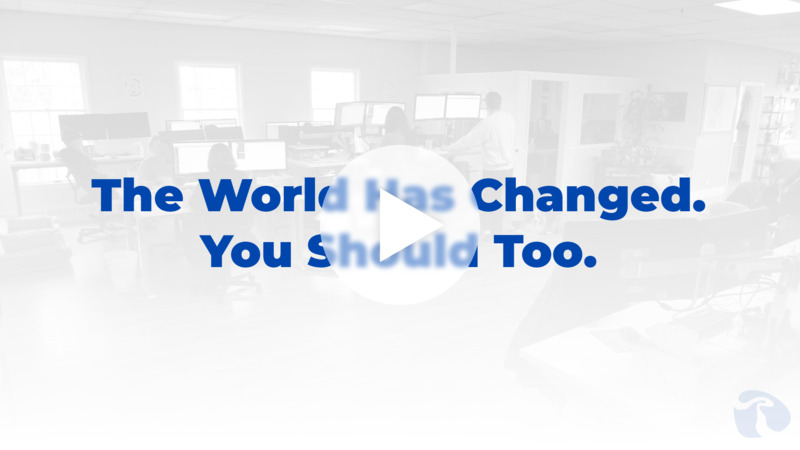 They trusted us to build their digital foundation and execute an inbound marketing campaign. Overdrive Raceway realized the importance of an online presence, even if they weren't open yet. They needed an affordable and effective way to generate interest while their racetrack and facilities were under construction. Companies without an online presence are at risk of not being found by their target audience(s). Google processes about 40,000 search queries per second, and if Overdrive's website isn't getting found by their target audience, they would be falling behind their competitors. Overdrive wanted an effective website, complete with a blog and social media accounts to kick off their online presence. Overdrive's new website would follow a typical growth-driven design (GDD) strategy. GDD is a process of continuous improvement on a website. In this new digital marketing strategy, marketers look at opportunities to improve the following three things: conversion rates, user experience, and user-based personalization. With GDD, Overdrive was able to make continuous updates to their site. They were able to edit website content to update visitors on construction status, and Grand Opening dates. We also looked at on-site metrics like page views, average time spent on the page, conversion rates, and bounce rates to perform basic site optimization. The GDD process typically starts with a launch-pad website. This kind of website is trimmed down to a few pages that make the most impact online. See the gif below to see what their launch pad site looked like. In addition, we set up Overdrive's blog and their social media accounts. We started posting to social accounts showing off pictures of the construction and sharing other updates as necessary. This website fit the needs for Overdrive Raceway. It wasn't overly designed or developed with special functionality. It laid the groundwork for the start of an incredible online presence, just like their concrete pouring was laying the foundation for an awesome go-karting experience. This launch pad page was published in the summer of 2015, over a year prior to their Grand Opening. They were set to open to the public after all construction was completed, in September of 2016. This gave both Revenue River and the Overdrive Raceway team ample opportunities to build demand for their company while it was still under construction. In the first 6 months after launching, Overdrive's newly created website generated over 1,200 average monthly visits. Those are some pretty kickass stats for a company that didn't have a website to start with, and don't forget, they weren't even open. See the screenshot below to see the first 6 months of inbound marketing performance for site traffic. While these results aren't anything to write home about, note that these results were from simply creating a barebones website. Until this point, their minimal blogging efforts and social media marketing was enough to get their online presence off the ground. But where did they go from here? Want more? Check out our award-winning sales system project for ORR Safety. At this point, Overdrive realized the successes of their website. Their facilities were still under construction and would be completed in the summer of 2016. That being said, their site was generating a decent amount of traffic. Overdrive's ownership was curious; how do they take advantage of that site traffic considering that they aren't opening for a few months? How do they continue to improve their online presence without the ability to convert website traffic into revenue? The answer: an extended digital marketing scope with a focus on promotional campaigns. Overdrive was opening in a few months and wanted to create more awareness around their business. We thought ahead to when Overdrive would open, and created landing pages that aligned with those objectives. 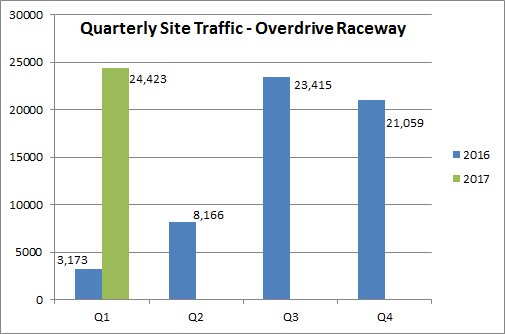 Remember: Overdrive's site had decent traffic levels, and people seemed interested in their facilities. Our job now was to refine that general interest to match the buyer personas we created. For example, one of Overdrive's buyer personas is party planners. To help us separate these contacts from other non-party planning contacts, we created a guide explicitly for these people. This Private Party Planning Guide gave interested party planners all the information they needed to make a purchasing decision. Website visitors would now submit their contact information for this guide, and once Overdrive opened, these contacts would be called or emailed to get them to book a party. Through the creation of summer racing leagues, people were able to put a deposit on their league, giving Overdrive revenue opportunities without being open. Additionally, we set up information about racing leagues for competitive go-kart racers. Overdrive wanted to set up seasonal racing leagues upon opening, so we created informational and educational resources that people could download. These resources were also gated behind a form so we could reach out to these contacts once Overdrive opened. It's important to understand that these campaigns were put into place in the spring of 2016. As expected, as Overdrive's Grand Opening was approaching these campaigns became more successful. Thanks to Overdrive's newly created online presence and the launch pad website, we were able to start the process of generating leads. By creating resources and downloadable offers that were of interest to Overdrive's buyer personas, we organically grew their contacts database. From the start of 2016 until the Grand Opening, Overdrive saw over 30,000 views on their landing pages alone, with over 4,200 new contacts generated. That's a 14% conversion rate for landing pages. 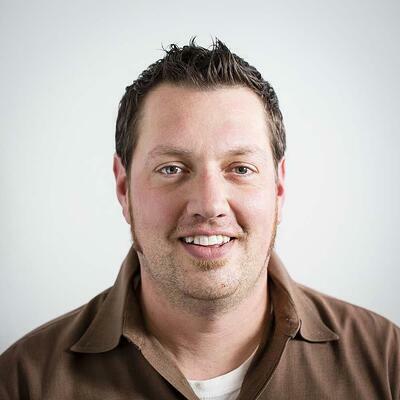 Before opening, Overdrive was converting 20% of their overall traffic into leads. This was exactly what they were looking for in terms of an already established sales pipeline. In the first month of being open, Overdrive generated nearly $200,000 in revenue. That's from people booking parties, renting the facilities, and joining racing leagues. This was possible through the lead generation and demand creation efforts that were going on for months prior to Overdrive opening. However, as is often the case with growing companies, Overdrive wasn't aware of how many leads they were generating. It became an incredibly cumbersome task to manage and follow up with each lead that came in through the site. They thought of just about everything they needed to do before they opened, but they didn't consider how successful their online presence would be. They turned to Revenue River for help in the creation of sales processes with sales enablement strategies. What a great problem to have! Overdrive achieved their goal of opening their world-class facilities with plenty of demand. They hit the ground running when they opened, generating over 250 contacts in the first 12 days of being open. They only had one salesperson, who was now drowning in a sea of interested go-karters. It turned out they were only able to respond to 31% of the inquiries, absolutely ignoring the rest. Overdrive was now putting their high-quality customer service at risk due to their inability to promptly follow up with leads. Even worse, they were missing out on revenue opportunities. How could Overdrive quickly turn this around and properly attend to the influx of qualified inquiries? With the help of sales enablement technology and strategies, Revenue River was able to help Overdrive understand the criteria of what constitutes a high-quality lead, and we helped optimize their sales follow-up process for leads interested in scheduling a party or event. The entire sales process was carefully mapped. Automation was developed to ensure timely outreach and the team was provided with branching logic for each type of inquiry. The sales system was developed to improve efficiencies and increase active selling time. All manual entry was eliminated and automated triggers were put in place to pass closed-won records over to operations in a timely manner for scheduling. 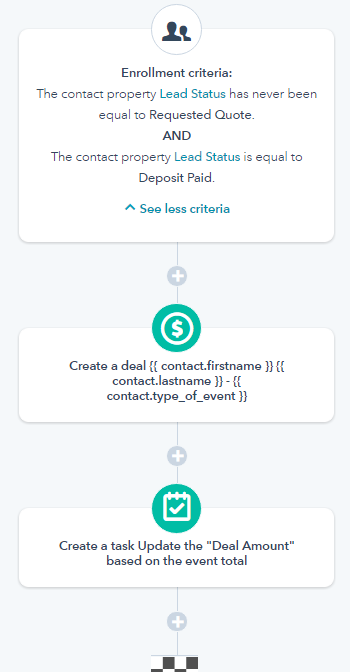 We added several efficiencies to the Overdrive sales process by injecting automation and reminder tasks through the strategic use of internal and external workflows. Essentially, they were able to follow-up with more of the right leads in less time. The internal workflows only send emails to people working for Overdrive, and they automatically set contact properties based upon pre-existing activity taken by that lead. 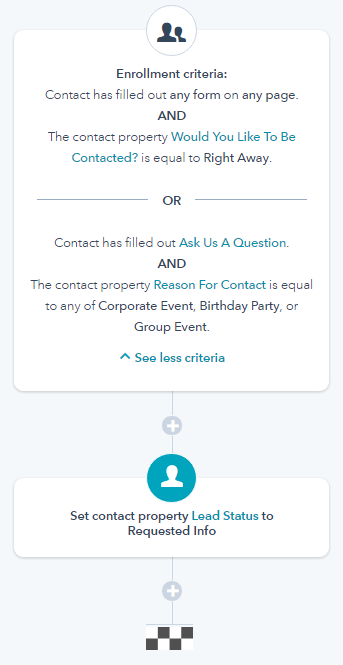 For example, if someone fills out a form on Overdrive's website and notes that they want to be contacted right away, their Lead Status is changed to "Requested Info." That means this is a new contact that has yet to be contacted and will appear in the salesperson's queue for leads to connect with. Once that contact has their "Lead Status" changed, a deal is automatically created in Overdrive's HubSpot CRM. The newly-created sales enablement system really empowered the Overdrive team to be more effective and get the most from their website. In the first three months of Overdrive being open, from the end of August 2016 to the end of November 2016, Overdrive generated over 1,100 leads but was only following up with 31% of those leads. That means that only about 300 interested party-goers (of 1,100) were contacted. Seven months into Overdrive being open, Overdrive successfully followed up with 95% of all contacts. Of the 457 leads generated in February 2017, Overdrive missed out on following up with only 25 party-goers or event planners. That's a 206% increase in follow up, which resulted in serious revenue growth. We were able to analyze conversion rates, traffic trends, and much more thanks to the launch pad website. Now it was time to use data to take the site to the next level. We used website analytics and engagement tracking software called Lucky Orange to view heat maps and scroll maps of what visitors were clicking on, weren't clicking on, what point on a web page people are scrolling to, and many more helpful data points. This data helped us create improvement strategies that resulted in more effective user experience for their visitors. See their new website here, or watch the GIF below. The fact that Overdrive was proactive in setting up their sales pipeline was integral in their successes. Thanks to digital marketing and the inbound methodology, they saw early success from a basic website. This basic website was continuously optimized and improved with GDD, until Overdrive realized that their website could generate more results with promotional marketing campaigns. This site saw nearly 1,200 visits a month without any dedicated digital marketing campaigns behind it. Through social media marketing, emails, and blogging, Overdrive's online presence was taken to the next level, allowing them to hit the ground running when they opened. From the start of the promotional digital marketing campaigns AND before opening, Overdrive saw 85,910 visits and generated over 4,200 new contacts, a 20% conversion rate. Once they opened, Overdrive struggled to give each interested lead the attention they needed to set up a party or event. Instead of outsourcing sales follow-up, they looked to Revenue River to provide assistance in optimizing their sales follow-up processes. From the adopted sales enablement strategies, Overdrive was able to follow up with a greater number of leads, giving them more opportunities to generate revenue. Upon opening, Overdrive was contacting only 31% of people wanting to schedule a party. Last month, in February 2017, Overdrive engaged with 95% of all leads interested in booking an event. Since the start of the campaign, we've seen a 669% increase in overall site traffic. Overdrive Raceway and the Revenue River team is excited to see how these statistics continue to improve. Furthermore, Overdrive has agreed to share revenue statistics since opening. See the table below for more evidence of inbound marketing growth and success. Please note that these numbers are only from cash and credit flow through Overdrive's POS system, and doesn't include sales made from their sports bar. We're incredibly proud of the incredible growth that Overdrive Raceway has seen in the last few years. They've worked hard to quickly get involved in their community, and they're continuing to grow at an incredible rate. Regardless of your company's objectives, digital marketing and sales enablement strategies can allow your company's website to do more than ever before. Is your team interested in taking your company's online presence to the next level? Are you looking for a custom, integrated solution to your marketing or sales problems? Reach out to the digital marketing experts at Revenue River or by filling out the form below. We'll discuss your specific needs, discover how our team can work with yours, and how we can drive results for your company. Put our inbound marketing team to work growing your business today! We've built our agency to serve organizations who want solve for their customers.